Examinations are the toughest times in colleges, universities and institutes as they require rigorous approach for conducting exams, its evaluation and documentation. The outcome of these exams is documented in scores which needs to be structured and organized through college management software. ECAS (Enhanced Campus Automation System) is one such college automation system that manages marks list, academic reports, grading schemes, marks statements, etc. Having an internal educational management software like ECAS for customized marks management is important for both colleges as well for students. Colleges can arrange the marks of students in orderly manner. Students can view their progress reports online. 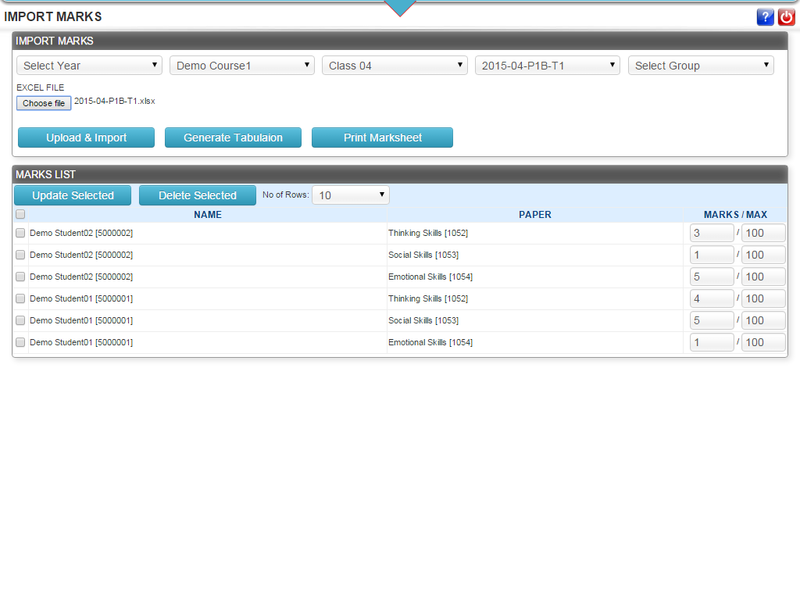 You have multiple fields to choose from like year, subject, subject-combinations, semester, course, etc. in the IMPORT MARKS panel. The marks list of the students is listed categorically according to your defined fields. From the above selected combinations, you can also create marks sheet of students. There are different layouts and structures of marks sheet available to suit an institutes's requirements. 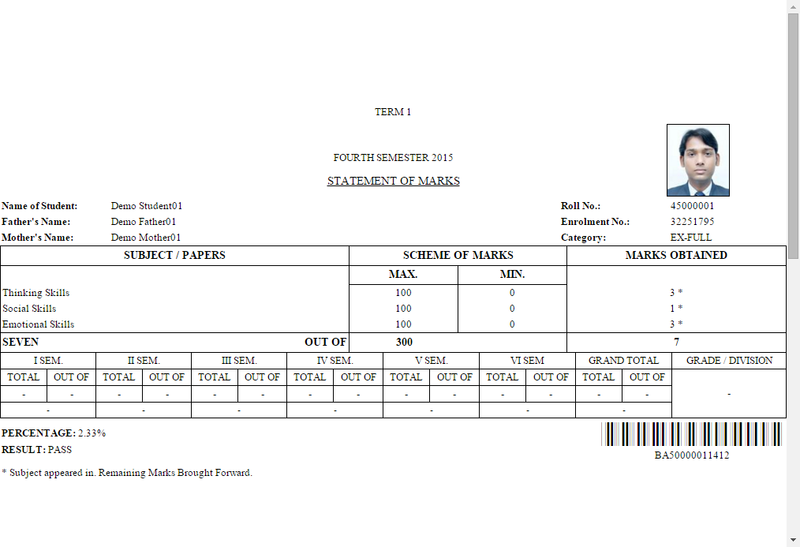 The marks sheet can be uploaded on the institutes's website in PDF format where students can view and print it. You also have an option to generate a complete tabulation register in Excel which will display all the details like name, roll no, father’s name, marks of subjects, grand total, percentage, pass-fail status, total marks in each semester, maximum-minimum marks, etc. The tabulation register is very useful to view the performance of students as it provides you all the details in tabular format. Evaluation of student performance and progress becomes very easy by obtaining marks list subject-wise, course-wise, semester-wise, etc. It also gives teachers and the faculty to view the marks list of students that belong to their course or subject giving them a brief overview of the syllabus. Such detailed results can give colleges an analytical view to assess their courses and make necessary changes in the administration for future reformations. Every institute has their own ordinance when it comes to preparing marks sheet and the ECAS provides several types of layout designs to create marks sheet for viewing and printing. ECAS helps you create a university management system which lets your students view the examination results online thereby facilitating a smoother functioning of the administration. Such unique client-based personalization and customizations readily available in the software makes ECAS the best college administration software in the market today.